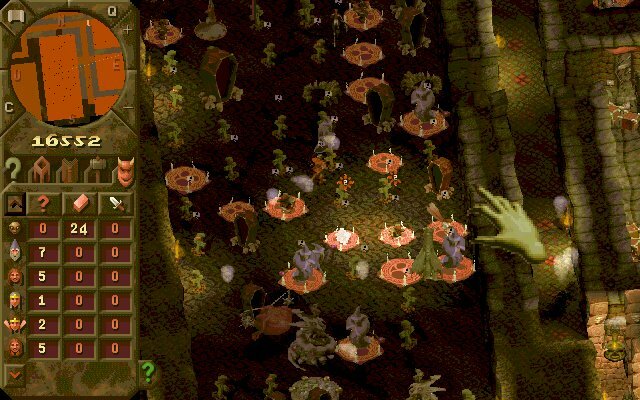 Dungeon Keeper is a rich strategy game that, even today, is both intuitive and challenging, both innovative and polished. You're the bad guy looking to protect your hard-earned gold and resources from the repetitive incursions of irritating do-gooders and rival keepers. Fortunately, you'll have plenty of tools at your fingertips to help keep the enemy vermin out and your own vermin happy. You will build lairs for them to live in, hatcheries to feed them, and training rooms to hone their skills. 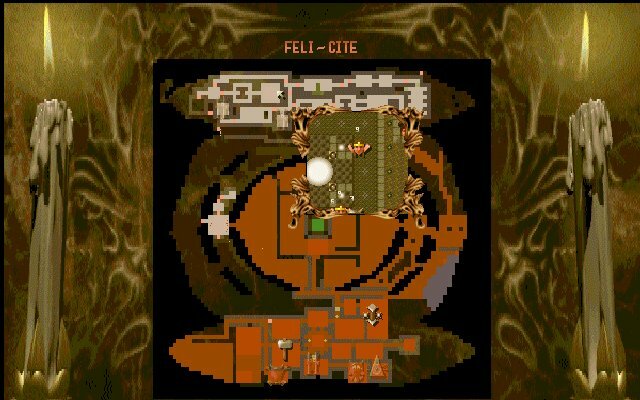 More advanced rooms like libraries, workshops, prisons, and graveyards will help you attract new minions and research and manufacture new structures as you confine, and confuse, your enemies in your newly constructed palace of pain. As in any enterprise, it's often hard to find good help when you need it. Warlocks are great at researching new spells, but become very destructive when bored. Dragons are fantastic combatants and researchers but quickly become annoyed when you can't pay them. Horned Reapers, your greatest weapons against humanity, can also be extremely... difficult. Keeping all of your monsters working and fighting efficiently against the enemy and not against each other can be the most trying aspect of this game, and only the most clever and patient of keepers stands a chance. 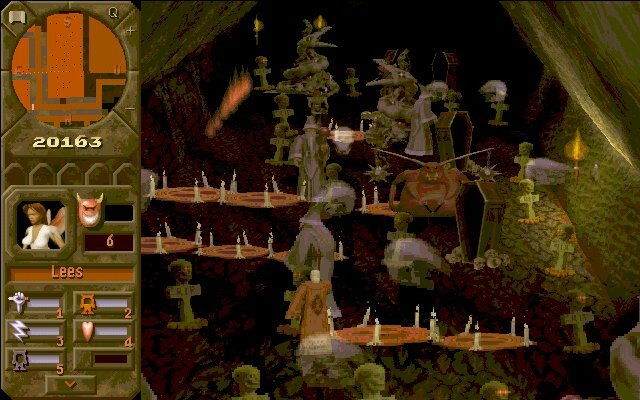 The best thing about Dungeon Keeper is that it presents you with all of these problems in a very entertaining, very addictive format. 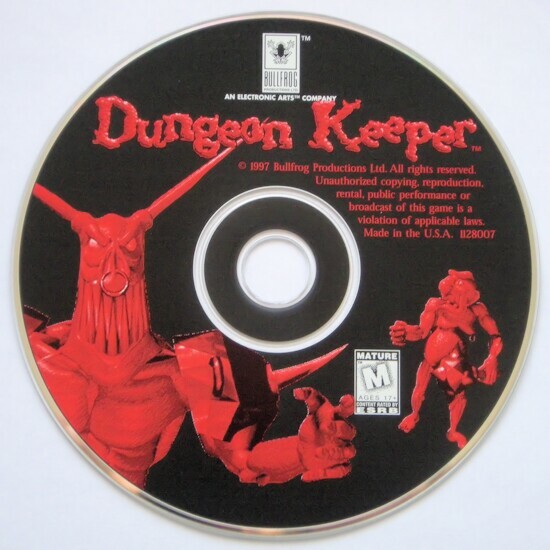 Like X-COM and Civilization before it, Dungeon Keeper uses research to keep you interested by promising more rooms, more spells, and more monsters to help you as the game continues. Gameplay never stagnates as each level becomes increasingly difficult, throwing curves in the form of tougher foes, less room to build, fewer resources to mine, or combinations of the three. Multiple character animations add to this flavor, delivering a different response when you throw a warlock into the torture chamber than when you throw in a bile demon. Fans of variety will also quickly notice that all of the action can be viewed from almost any angle, including a first-person "in the creature" view that changes depending on the monster being possessed at the time. 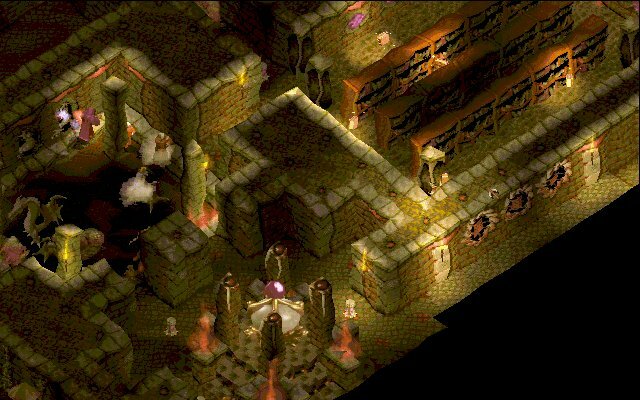 Dungeon Keeper is perfect for any fan of real-time strategy or classic fantasy role-playing games should run right out and buy this game. It represented the new face of Bullfrog during the late 90s.